Now Summer is upon us, supposedly, so you’ve not much time to get gardening if you haven’t already started. What you can do, however, is zap those pesky garden weeds and clear a bit of much-needed space in your garden. Here are five top ways to do just that. Seems obvious because it’s the first place to start but it’s also usually a much-hated, back-breaking job. Make sure to don a good pair of gardening or kitchen gloves and choose a time when the soil is moist from watering or rain. Be careful not to pull out any ‘good’ plants in the process. Grab from the base and use a pointed tool to loosen soil around the weed if necessary. Be wary of what weed scraps you can add to your compost and some could seed and spread. 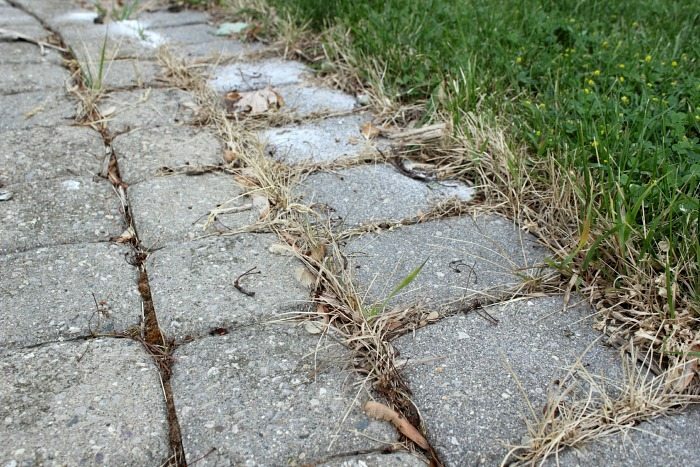 A sprinkling of salt along your garden path will kill weeds growing there or prevent them from starting. Salt dehydrates the plant and interrupts the internal water balance. Be careful not to overdo it as it can leave the soil very dry. The best way is to dilute some salt and white vinegar in water and sprinkle over the weeds. The application of direct heat to a weed will cause it to instantly wilt. There are flame-weeder tools available from home and garden stores and are worth investing in if you have a regular and large weed problem. Be careful on hot days where nearby foliage and grass may be dry and could catch fire easily. For certain stubborn weeds, herbicides may be the only way. In order not to damage healthy plants around the weed, cut a 2-litre plastic bottle in half and place the bottom over the weed. Spray your herbicide through the bottle opening on to the weed. 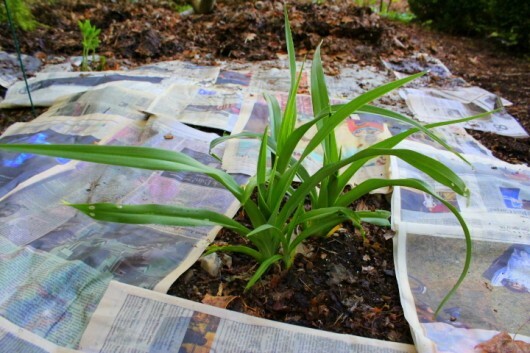 You can block out the sunlight and oxygen to the soil surrounding the weeds by laying down a carpet of newspaper. This will tackle weeds already sprouted and prevent new ones from growing. Layer a generous amount of newspaper down on the ground, wet it and pat it down firmly. Cover with an inch or two of mulch.